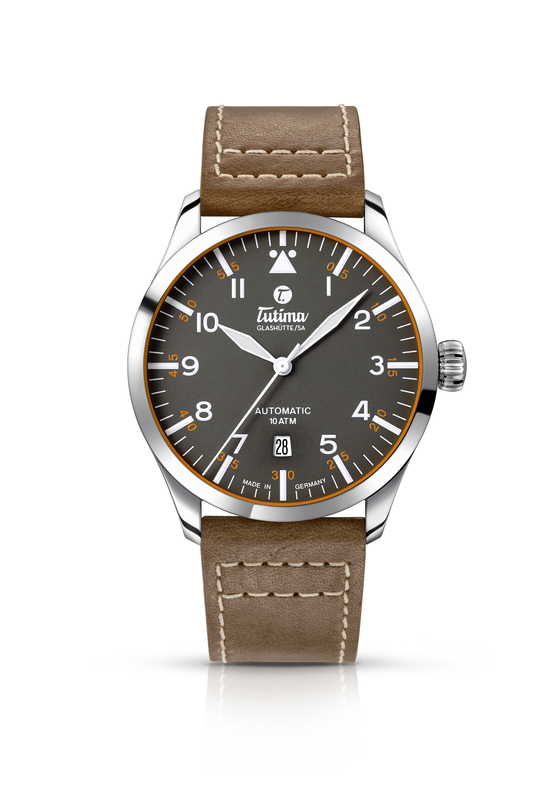 Since returning to Glashütte in 2008, Tutima has been making modern interpretations of their classic flieger watches. While the brand is known for its’ historic Caliber 59 flyback chronograph, the recent line of flieger watches are more pragmatic for everyday wear. 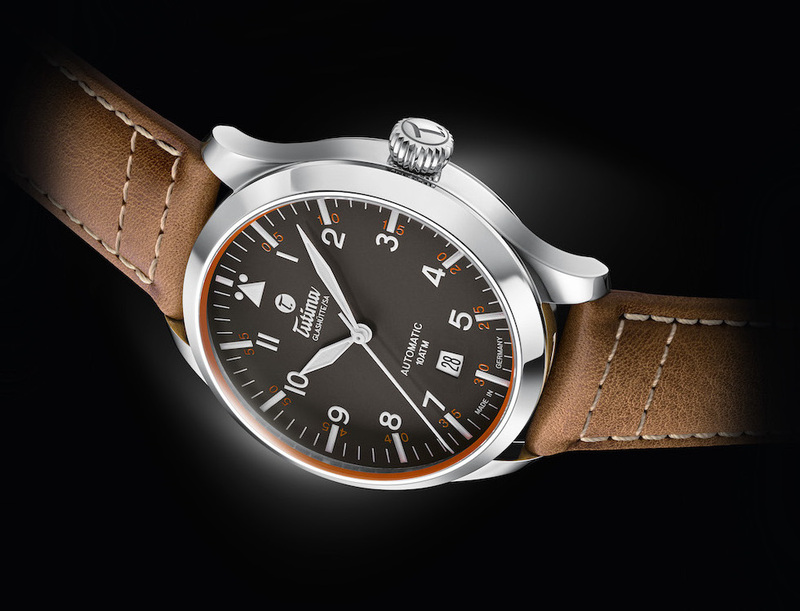 The entry-level Tutima Flieger offers a minimalistic dial layout with contemporary case. 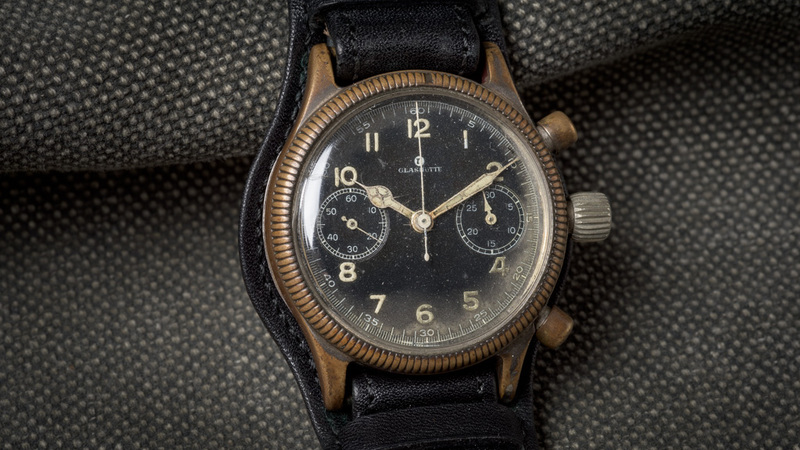 There are two variations of the dial – black dial with date, and an anthracite dial with date. While black dial offers a better contrast, the anthracite dial makes for stylish pilot watch. The polished 41mm stainless-steel case lends a contemporary appearance to the traditional flieger dial. Even though the fluted bezel makes the dial larger, the short lugs balance out the watch very well. Tutima enhances the legibility of the dial with anti-reflective coating on the sapphire crystal. There is a sapphire crystal on the case back as well for viewing the automatic movement’s rotor with an 18-karat gold Tutima seal. A screwed-down crown gives the watch a decent water resistant to a depth of 200 meters. The black dial has red minute numbers and a red outer ring. 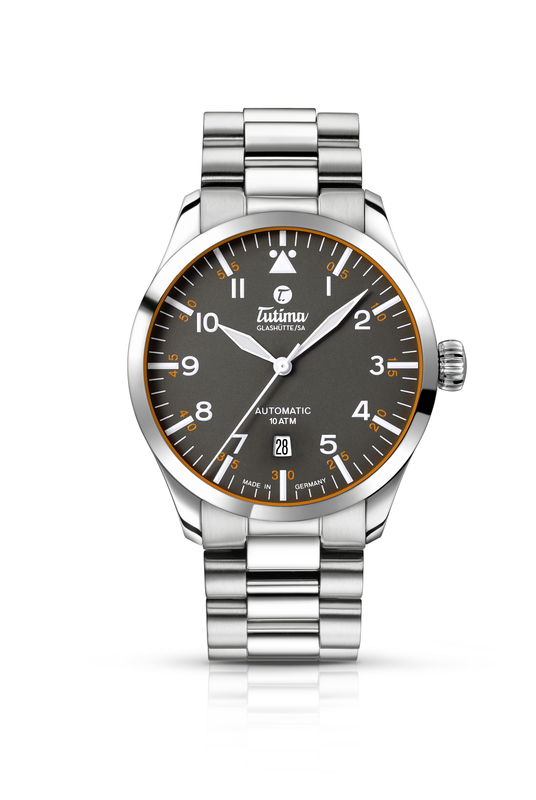 The grey dial offers the same in orange accent. Both dial variations have skeletonized hands filled with SuperLuminova. The same lume is generously applied on the pale baton-shaped indices, hour numerals, and the triangle at 12 o’clock. Tutima Flieger Automatic is powered by their caliber 330, which is a re-worked ETA 2836 caliber. There is an option for a leather pilot-style strap or a steel bracelet. The polished bracelet complements the polished case well. 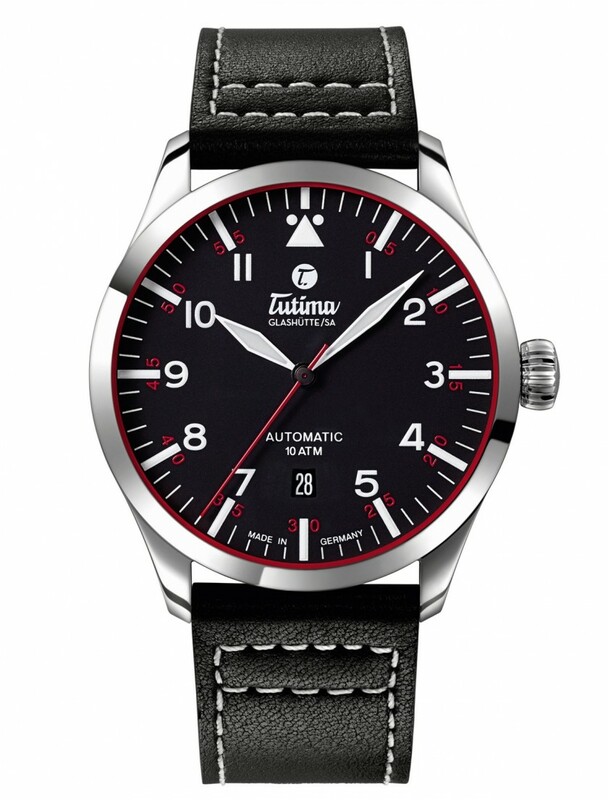 Tutima Flieger is available now, and the retail price with leather strap is $1,650, and on bracelet it is $1,950. You can visit Tutima website for further information.